Have you Thought to Look to Brazil for Missing Confederate Descendants? My daughter, always keeping her eyes open for topics that might interest genealogists, to help her mom provide regular and interesting content for this blog, pointed out a recent article from Business Insider, The American Confederacy is still alive in a small Brazilian city called Americana. Were you previously familiar with this migration of southerners to Brazil after the Civil War? If your family was part of this migration, tell us what you know about them? What other groups might you know of who mass migrated from one country to another country, and created an enclave? I stumbled across this the other day. That the Library of Congress is now also found on Medium.com @librarycongress). You can choose topics of interest to follow (if you want to sign up) and then you can follow people or publications that maybe relevant to your interests. As I explored, I did come across a page for the Texas General Land Office (@txglo) which looks interesting. Both of these are part of the History category. Apparently, some content is free to read and for others you need to become a subscribing member. What do you know about this platform? What other history and genealogical offerings can be found on Medium.com? What do you think of this new platform? 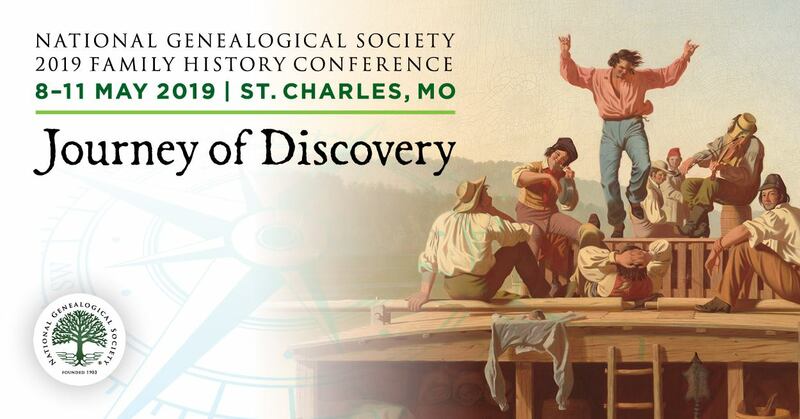 To enter, just submit a 2017 Genealogy Event of some kind** — conference, seminar, workshop, program, meeting, cruise, contest, volunteer opportunity, call for papers — using the Submission tab on our website at ConferenceKeeper.org. !!! Read the following instructions also!! · Please check our calendar before submitting to be sure the event isn’t already there. ONLY NEW EVENTS WILL COUNT AS AN ENTRY. 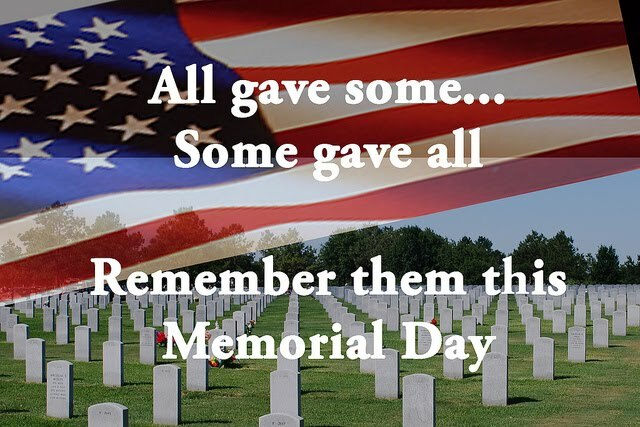 · Only events occurring from May 20, 2017 thru December 31, 2017 will count as an entry. 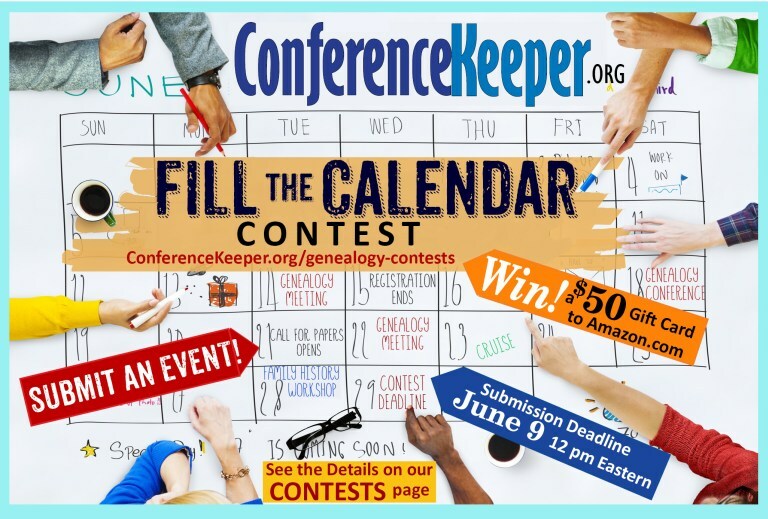 · Only events submitted through the ConferenceKeeper.org “Submission” tab will be counted as an entry. · Submissions must include all requested information. Only the image/photo/logo field is optional. Incomplete or unverifiable event information will not be considered an entry. · Each submission of a new, not-yet-posted Genealogy Event will count as one entry. Enter as many times as you like! · Be sure to include your name and email address on the submission form so that we know who to contact if you are the winner. · A single winner will be randomly chosen from all of the entries on Saturday, June 10. **We do not include individual Webinars, which should be submitted to GeneaWebinars. We will accept Virtual events that are also presented to a live audience, and live group meetings at which a webinar is being shared as the main presentation. Tell your friends! Share with your societies! It is great to see so many genealogical and family history themed events listed! Great for those who want to attend an event and those who want to check out a speaker for a future event! Do promote local events. You might find that there are many people not yet aware of your existence and who would like to attend your programs if only they knew about them! What events are you looking forward to attend? How many “new” events have you added to the calendar? If your family lived in an urban area, these maps are invaluable! The collection itself is found here. What has been your favorite discovery in this map collection? Registration is NOW OPEN for live streaming of 14 Jamboree sessions! We are very grateful to our Diamond Sponsor, Ancestry, for underwriting Genealogy Jamboree Live Stream. With their generous support, SCGS is once again able to bring you 14 hours of high-quality family history education free of charge. The live streamed sessions from Jamboree are listed below. Session descriptions, speaker bios, suggested experience levels and schedule details are available on the Jamboree website. The Jamboree streaming video is FREE, but you will need to register to view the broadcasts. We encourage you to register in advance so there is no delay when you want to view the sessions. The live-streamed sessions from Jamboree are listed below. Session descriptions, speaker bios, suggested experience levels and schedule details are available on the Jamboree website. SU027 What's New in Eastern European Genealogy? Not able to watch live? No Problem! 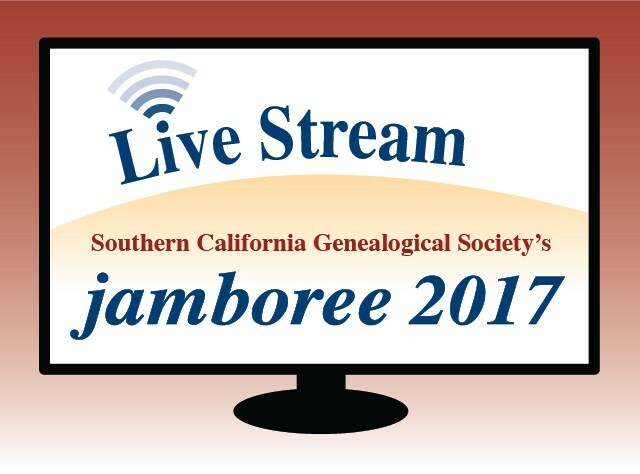 If you can't watch a session in real-time as it is being live streamed, you will be able to watch it at your convenience before midnight, July 10, 2017, on the Jamboree Registration & Viewing Portal (not to be confused with the SCGS website and the Extension Series Webinar archives available for SCGS members). 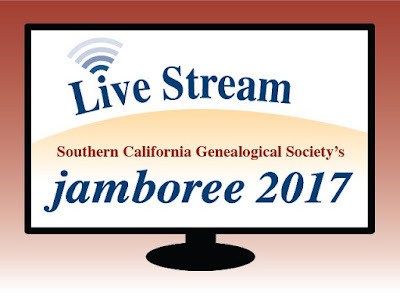 Registration for the Genetic Genealogy pay-per-view and free Jamboree sessions will remain open through July 10, 2017. You do not have to be a member of SCGS, nor do you need your SCGS membership number, to view any of the streaming videos. Streaming videos will not be shown on the SCGS website and are not the same as Jamboree Extension Series Webinars. Genetic Genealogy/DNA Day pay-per-view live streaming is separate from Jamboree Free live streaming and is accessed via a separate web page. Each registration will generate a confirmation email that will contain your username (email) and automatically generated password. Passwords: If you sign up for both live streamed opportunities (pay-per-view and free), you will generate 2 separate passwords. Please keep track. If you forget your password or have any technical difficulties, click "Contact Support" on the live streaming web page. The Jamboree App is not involved in live streaming. Jamboree live streaming is FREE and available to the public, but viewers need to register. We highly encourage you to register in advance. Which session(s) caught your eye? FamilySearch has an initiative where you are encouraged to write one story every week for a year, thus completing 52 stories. To add some fun to the process, FamilySearch has printables (my favorites are the Weekly Questions). You can also access the complete list of 52 questions here though that can sometimes be intimidating! I can see this as a fun project to engage family members in also. Maybe send out a weekly email or post to your family on FB. Odds are that everyone can take a few minutes to answer “one” question with a sentence or two or more (not expected and always appreciated!) and you can then compile them and create a fun and incredibly personal family gift. As mentioned above, getting started is key. It’s amazing all the things that we spend time doing each week, and yet often balk at spending a few minutes to leave a lasting legacy. I am as guilty of this as the next person. The closest I get is to still maintain a paper calendar where I jot notes of what I do, observations, and more and serve as family photographer. And, that’s still just a skeleton of my life and not nearly so thought-provoking and intimate as the answers to any of the questions which are part of #52Stories! Wouldn't this be a fun event to do with a youth group? At a family reunion or while celebrating a holiday or when on vacation? What's your excuse for not getting started this week? What question is your favorite (either in terms of a response you would give or in terms of the answer you would love to receive from a family member)? What questions might you add? Which family member has surprised you the most with their answers?